The ladies below are the futures of Allagante Silkens and we love the look of the future. 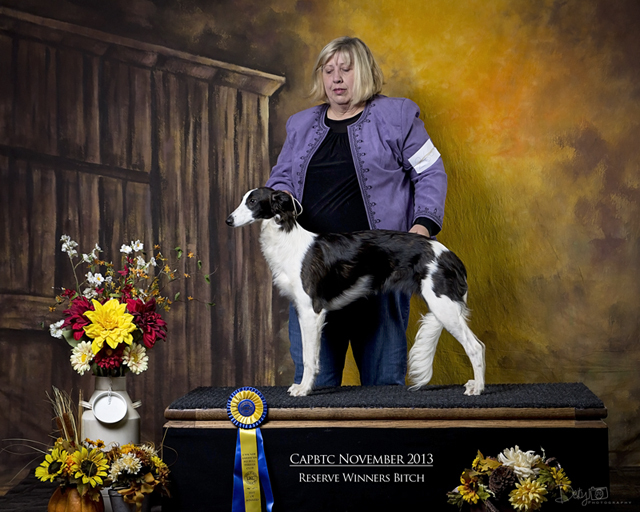 ISWS Ch Windspirit Allagante Sienna FCH LCM2 ORC GRCXX "Sienna" is a gorgeous fawn brindle with amazing brindle markings. Sienna has muscles upon muscles and is the most if not one of the most versatile Silkens in the world. 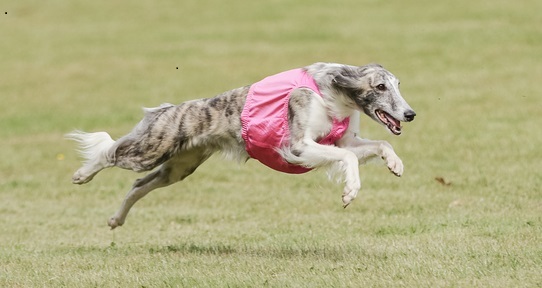 She is the first and ONLY Silkens to achieve the impossible in 2017 of being the #1 in ASFA (lure coursing), #1 NOTRA (oval racing) and #1 LGRA (straight racing) all in one year. She has won the Bados trophy ( being the #1 ASFA bench-conformation ch) for 2 years in a row along with being the #1 ASFA Silken. Windspirit Dancin' The Salsa FCH, ORC, GRC is one of the most happy and easy going Silkens I know. You can take her anywhere drop her off for awhile and she just makes herself at home with new dogs and her favorite hobby which is to cuddle with people. 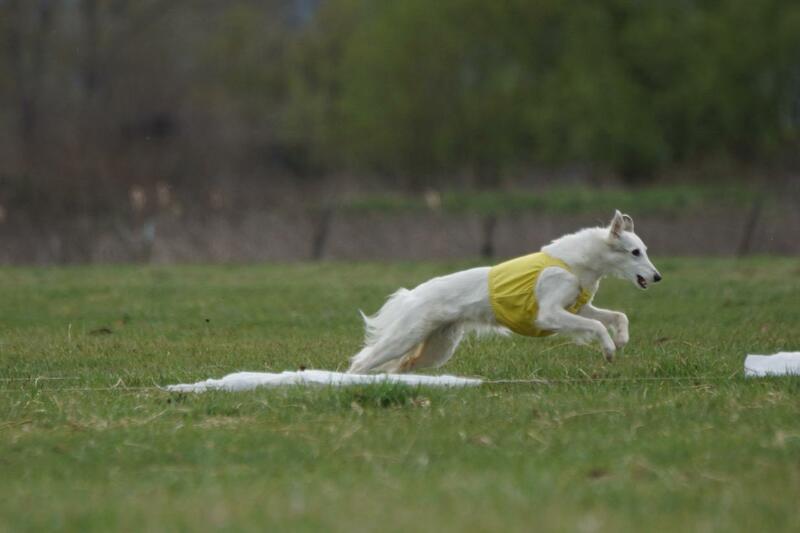 She is a little rocket pocket and is a major superstar in the coursing arena. Allagante Cartier Diamond "Cartier" is a Diamond of the highest class. She is currently co-owned by us along with Jason & Melissa Bancuk and loved by two very small but loveable girl children. Cartier is a very small little pocket rocket. 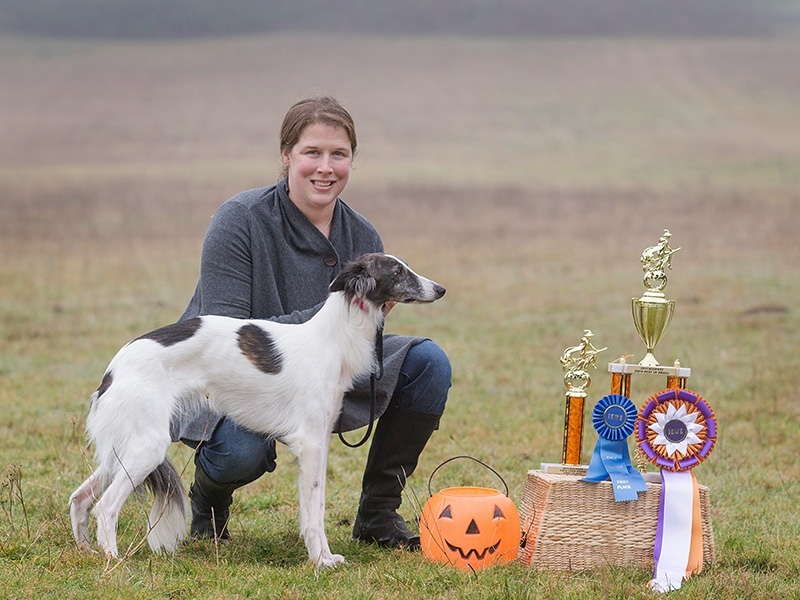 Winning consistently in Lure coursing. 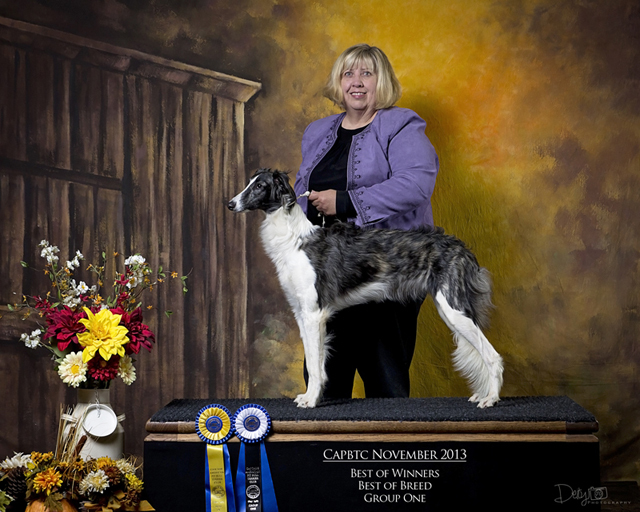 Shown here with Melissa after winning BOB at BooFest in the ASFA Lure Coursing event. Serenity Allagante My Nadia "Nadia" came to us from the East Coast from good friend Kathie Treacy. Nadia is a funny and silly girl. She still has not proved herself on the race track but her time is coming. 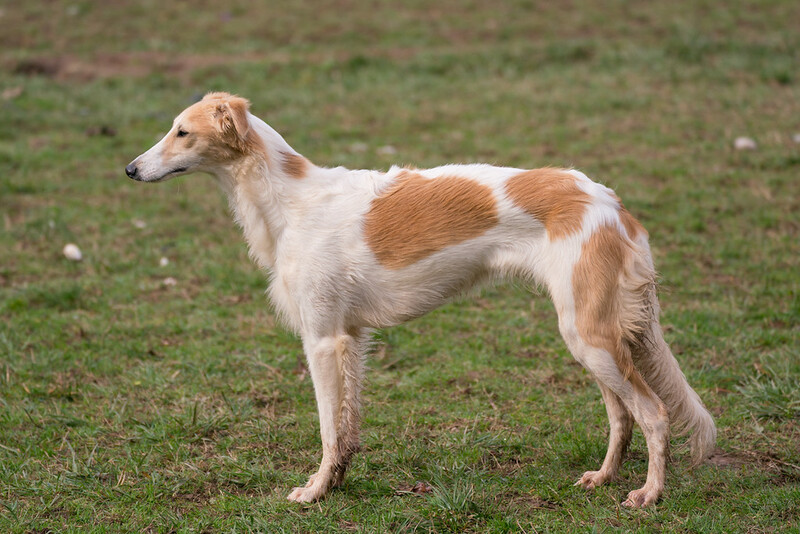 Allagante WSpirit Max Velocity "Pagani" is a striking looking young girl that has a high energy level. She aslo loves with the same intensity. We simply love her personality. Allagante Cygnus Rumer Glenn"Rumer" is so much a sweet and quiet girl.....until she sees the plastic bag. She will start her racing career in 2019 and she can not wait. She is a complete lover and loves to cuddle. 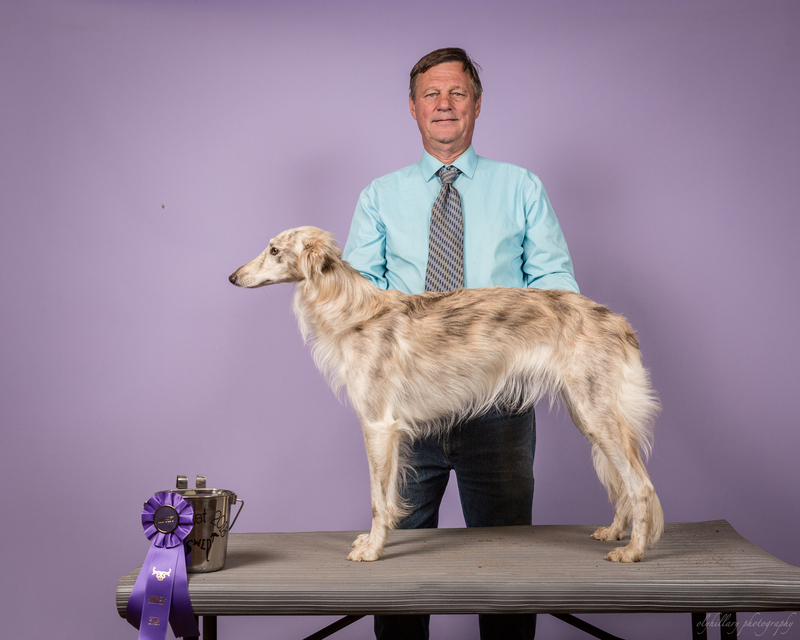 Allagante High Fyler of Myth was a singleton pup out of our Sky. She takes her lovely body from mom Sky but her love of life from her daddy Lego. You can not find a sweeter dog anywhere except maybe her mom Sky.